This Press has captured the authentic sequential outburst, as Sierra Rutile entered 5th day of strike action with Four (4) suspended Union leaders set to hold talks with Government in Freetown. 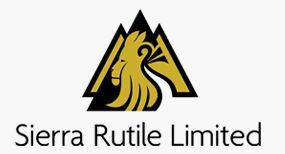 Following the recent strike and unrest at the Sierra Rutile Mines it was stated in the Press Release from the office of the Press Secretary and Presidential Spokesman that, His Excellency the president, Honourable Vice President, Chief Minister and key sector Ministers, have met with the leadership of the workers Union and Sierra Rutile/ Iluka leadership on 26th November, 2018 at State House. That His Excellency the President has directed the establishment of a Special Task Force to investigate the fundamental grievances/concerns/ issues of the workers, the Rutile community and the Sierra Rutile/Iluka and makes actionable recommendations. But on the contrary, this Newspaper was updated by Management Exponents with special reference to the last condition. According to them, in conflict resolution, identification of the problem(s) is/are key in terms of decision making. Unfortunately, the decision has hastily been made by the Government before designating a special task force to investigate the fundamental grievances of the Workers, the community and that of the company. They said that should have been the first step before they should have agreed on the aforementioned conditions. Administrators across the country are emphasizing on the likelihood of the escalating level of the conflict of interest within that company if the government used its PAOPA hostile administrative approach, as it has already started on that matter. However, the Sierra Express Media is closely monitoring the unfolding activities and will adequately update the reading public as progress/ deterioration made therein.